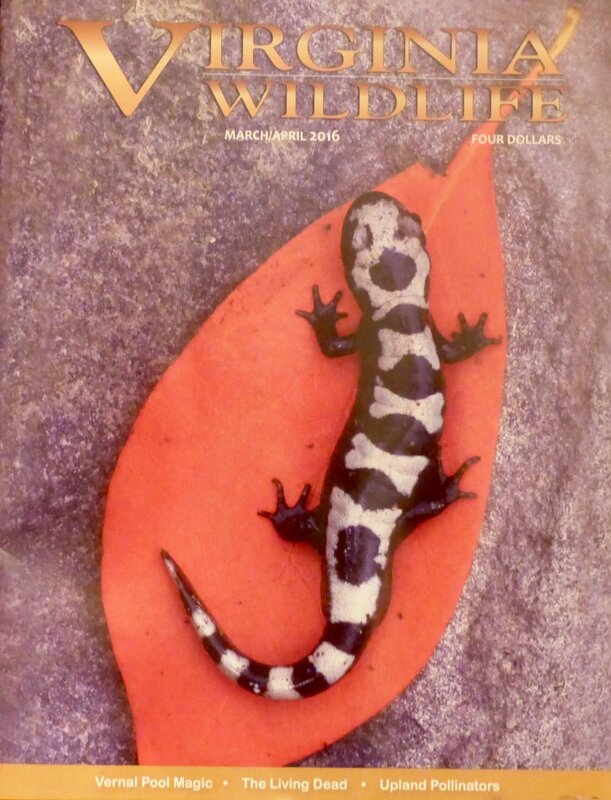 Virginia Wildlife magazine cover, March/April 2016 issue. Virginia Wildlife magazine published my article “Poague Run: Restoring Trout, Restoring Hope” in the 2016 March/April edition. It’s the story about the people that restored a 3,000-acre watershed. 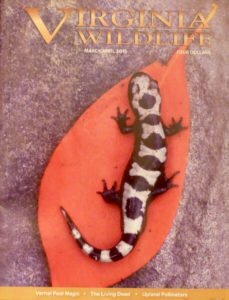 More information about Virginia’s premier wildlife magazine and to subscribe, check them out at www.dgif.virginia.gov/virginia-wildlife. It’s happening. Throughout the 64,000 square miles of the Chesapeake Bay watershed, there are small watersheds being restored, one by one, slowly but surely. We are going to achieve a restored Bay, one small watershed at a time. One sterling example is Poague Run, once a quagmire of cattle manure, human sewage and sediment – now cold enough and clean enough to stock with the Chesapeake Bay’s native, pollution sensitive, top predator freshwater fish – Brook Trout. Poague Run is located in the city of Staunton and Augusta County, Virginia. It is part of the Middle River watershed, a tributary of the South Fork of the Shenandoah River. Emma Nylander with a fingerling Brook Trout. Read the whole story about the Poague Run pilgrimage here: “Poague Run: Restoring Trout, Restoring Hope”. Emma Nylander, the happy young lady in the picture, is featured in the article. She participated in Kites and Critters, an annual event sponsored by the Valley Conservation Council. This year the event will take place on April 17th. There are many other small watersheds throughout the Chesapeake Bay watershed that have been restored. We need to lift up these successes to show others that it really can be done. To find out how you can help restore the watershed where you live, contact me, your local USDA or Soil and Water Conservation District office, or an organization devoted to watershed restoration such as Trout Unlimited, Friends of Middle River, the Chesapeake Bay Foundation and Stroud Water Research Center. Wonderful article Bobby with a very important message! Congratulations! Marie, thanks for comment, looking forward to Saturday. Good stuff Bobby–see you this weekend. As always I am as many others mighty Grateful for your Good Work and its Reach on behalf of Earth’s Health in Virginia and around and beyond. My Virginia Wildlife has not arrived as yet. I sure look forward to reading your article as i always do your writing. Don, thanks so much for taking the time to post your very kind comments. We now have 29 calves on the ground and 97 to go! Masterful, brilliant article in News Leader this morning. Sunday, April 24. Steve, thanks, you are too kind! I hope I will be able to take part in restoration projects for the rest of my life. Improvement of the future starts with motivated individuals who can create a supportive, like-minded community. As the community grows and joins other communities, they increase their influence. Through their actions, they spread knowledge. It’s the spirit and hope of these communities that help the movement’s longevity. Hope and knowledge cannot be taken away. I may not be able to enjoy the shade of every tree I plant, but I am motivated because the next generation will. Sarah, that was so beautifully written! I am going to write down your last sentence in my journal. Thank you so much! Fantastic Article! I think we forget to appreciate the little achievements we make in the battle to restore the bay. Articles like these that illustrate the benefits of restoring even the smallest watersheds on not only the local community, but the bay as a whole. They have the potential to impact the local economy and bring the neighborhood together. Thank You for all the work you have done in the community! This is a great success story that shows that hard work and investment in the betterment of the environment really can pay off! It is important for all of us living on Earth that more people get involved in initiatives like this one. It is amazing that this project took over 20 years to complete, however, if projects like this were started by different people on various streams around the same time, many streams and watersheds could be restored in the next century. This is such a great story. Being in the environmental field, you hear so many horror stories that it’s rare to find stories about hope and success. This is why I want to get into the environmental field, because the successes you have mean so much to the communities you help. Although cleaning up the Bay is a long and arduous process, we are now one small watershed closer. As someone who fishes a good deal, hearing something like this really makes me happy. Brook trout are so sensitive to pollution so that fact that we can return this species to the watershed is great news for the overall health of the ecosystem. Even if this is just “one small watershed,” we have to start somewhere. You have to walk before you can run and any great journey starts with just one step. In the long run it may not be a massively significant accomplishment, but it sets the tone for where we need to be. Rome was not built in one day and likewise we will not be able to fix the bay in one day; it is going to take some hard work, but with people like this who care we will be able to make a difference. Nick, very nice and well written comment. Such a great article! It’s so nice to read about something positive occurring within the environmental field – I think we tend to forget that successes exist. There is still a lot of work that needs to be done to clean up the Chesapeake Bay, but stories like this one give us hope that it can (and will) be done little by little. Yippee! It is wonderful to know that through collective effort and good management we can restore ecosystems and bring back native wildlife. This action such as restoring local watersheds such as Poague Run is amazing to see. Brook Trout are an amazing animal and it wasn’t until i came to JMU and began fishing in the National Forest was i exposed to them. These fish themselves are basically an indicator for stream health and quality alone. I believe stepping stones such as the Poague run Project is essential in restoring the Bay, which is the larger picture. Each valiant effort helps in this work and to be able to introduce a once native species back into its ecosystem is amazing to me. Every restored watershed no matter how small makes a difference! Glad to see water quality high enough to support Brook Trout, impressive. Wonderful article, as usual! It is great to learn about the conservation efforts that were put into place and the difference it actually makes. It’s easy to forget that changes usually start small and things don’t change overnight. It is also great to learn of the continued efforts that made the difference to restore the watershed. This story really just makes me smile! It’s amazing to see the work of individuals resulting in a large scale positive change. To see these big impacts it is mandatory that people work together with one another and educate. That is our duty as environmentalists. Good stuff! It’s great to see something positive about the environment. Also, what a fantastic opportunity to get kids interested in the environment! It is truly amazing what can be accomplished when everyone decides to lend a helping hand! Like most polluted watersheds, a lack of knowledge from the community serves as an additional source to the problem. It is always nice to read about one of the success stories regarding water pollution. It is clear that whenever the community comes together to fight the good fight, the results are astounding. More community actions like this regarding polluted watersheds and the amount of clean watersheds would surely increase! This article really emphasizes the importance of awareness! The more people know, the better of the environment will be! Every watershed restored is a another step to restored bay. People may scoff and say that this will not make a difference in such a big watershed, but that’s what it takes. This is also an amazing way to teach children about environmental issues, that they will remember. Wonderful explanation of a remarkably successful large scale restoration project. I felt heart-warmed after learning about how actively involved the local communities of the watershed adjusted their ways for the greater good of environmental health and sustainability. Its great to hear that brook trout can now safely survive and flourish in a watershed mostly free of pollution, especially since most watersheds here in the valley are deemed impaired. What a success!!! Very happy after reading this. Sharing and publicizing these successes is so important! When people see that the change is possible, they will be more motivated to work towards it. This is the result of some really great work that everyone involved in can be proud of. 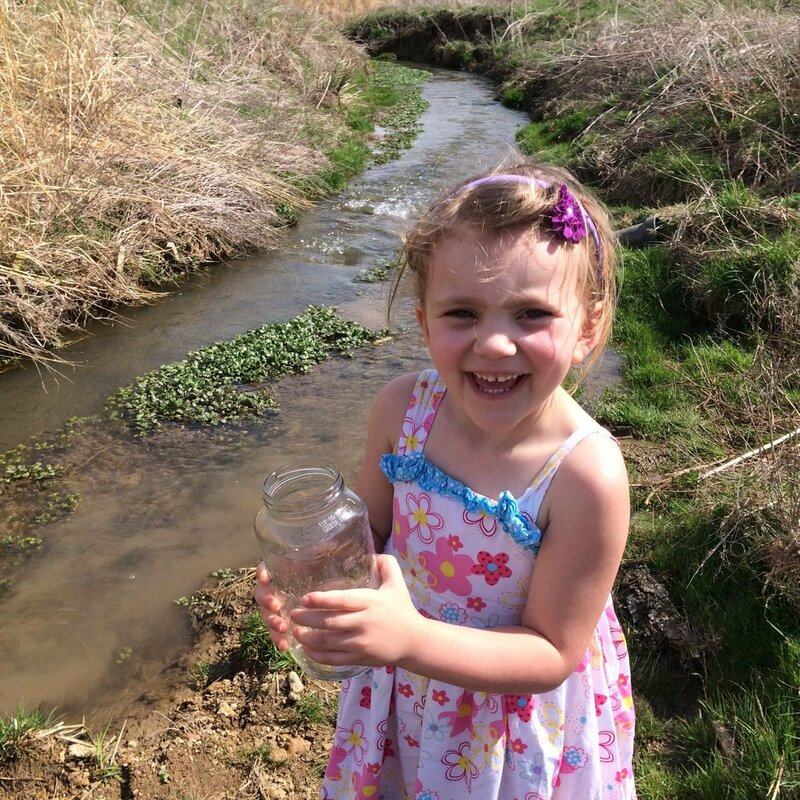 It’s great to see little kids like Emma Nylander whose interests in the environment are being sparked. Encouraging kids like her and setting the example to work hard, to challenge neighbors to work together, and to never give up is what will change the world. The narrative of restoration that occurred in poague run is hopefully one that we will continue to hear and even increase in frequency in the years to come. I am encouraged by this article because of the frame of mind that you take on restoration. I think that we as a society want to fix the whole problem fast or else it is not worth it but with the mindset of winning the battles that we can and knowing that they are at least helping the immediate ecosystem around it can help us not get discouraged by the overall problem. Fun article and also congratulations on its publication, definitely another reason to celebrate. This was such a great article and a great story to read. It is just amazing to see that restoring watersheds and the Chesapeake Bay is actually happening and coming along! It is great to see that efforts are being made all over to clean up the watersheds of the Chesapeake Bay regardless of the size, all cleaning efforts help in some way or another. It would be interesting to know how long it took to get to the point of completing remediation. Then you could see just how hard everyone worked to clean their watershed. Joel, this process took twenty years!